As I reflect on my years as a Dominican Sister of Grand Rapids, I am filled with gratitude and wonder. Grace continues in abundance. Born in the cold and snow of January 1942, the oldest of three and later four children, my early years were shaped by the environment of rural Michigan farm life. There were many hours of exploring woods and fields, discovering secrets of nature, and learning of solitude, but also enjoyment of a warm family and good neighbors. School and study were always a great love. Participation in band and leadership in student council became central to an active high school career. A part time job as a receptionist in a local hospital provided a first work experience. A public school environment of mixed faith traditions contributed to my sensitivity for people of varied background. 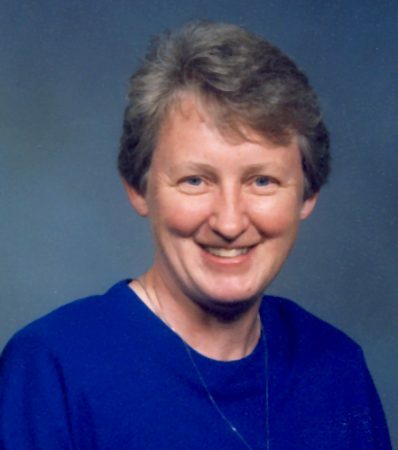 In 1961 I joined the Dominican Sisters ~ Grand Rapids after a year of study at Central Michigan University. I earned an MA in Religious Studies from Aquinas College followed by an MA in Biblical Studies from Providence College, Providence, Rhode Island. There was additional study toward an MA in Pastoral Studies at Aquinas Institute in St. Louis, Missouri. Completing the Spiritual Formation Practicum at Dominican Center at Marywood brought joy in recent years. Ministries include secondary education in Alpena, Saginaw and Gaylord. I served the Congregation in initial formation and also as Co-Director of Pastoral Life. I ministered in the; Diocese of Gaylord as pastoral associate and as pastoral administrator, serving at St. Rose of Lima parish, Herron, Michigan. Presently I minister at Dominican Center at Marywood as facilitator, presenter and spiritual director. I enjoy dinner with friends, reading and long walks in nature observing God’s creatures.